It happened ten years ago and I didn't understand the significance then. Pardon my ignorance, I was just a 14 year-old boy back then. All I knew was that something terrible had happened and it's all happening in the distant land of New York, so I didn't care. And the event led to the invasion of Afghanistan, and made Osama bin Laden the most famous Arabian to ever walked the Earth. His name resonated fear in the minds of those who feared him, and people dubbed him "The Devil Himself" for inflicting such wound upon the United States of America. Two hijacked planes flew into the World Trade Centre in New York, one blasted into the Pentagon, and the last one which was intended for the White House, crash landed into a field in Stonycreek Township after brave passengers wrestled with hijackers on board. Since then, everything I knew about airline safety changed. Security was tightened and nobody jested around whenever they saw a Muslim. 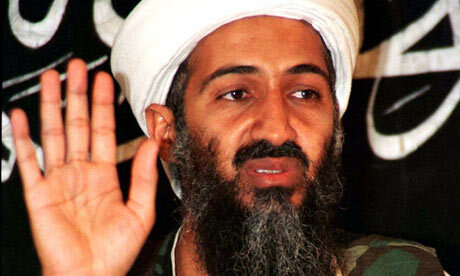 Secular leaders debated heavily to find out what exactly compelled Osama to react so violently against America. In fact, a recent comment posted online suggested that all these violent Imams and Jihadists aren't exactly religious. Their lack of understanding of the Koran makes them susceptible to distorted teachings preached by extremists. On the contrary, those we thought as potential recruits are erudite enough to recognize something awry within the militant's message. Unfortunately, America's understanding of the Abrahamic religion didn't improve however exiguous at all. A recent article on TIME mentioned that even after ten years of war against terror, American politicians still know astonishingly little about the religion they are up against. They were proud to know there were Sunni Muslims and Shia Muslims, but nothing more than that. So, in a way, the Americans were basically shooting at an immortal behemoth, one that will never die unless they know its weaknesses. If you know your enemy and know yourself, you can win a hundred battles without a single loss. As for those who'd lost their loved ones in the tragedy, it's been a rough roller coaster ride. 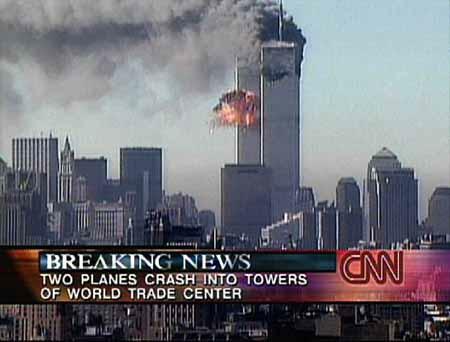 First, President Bush announced that he would hunt down and punish whoever that's responsible for the cowardly act. But bin Laden was harder to hunt down than he'd ever imagined. 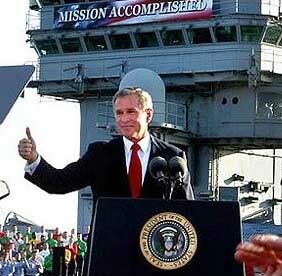 Then his fighter jets flew offcourse into Iraq, so he turned his attention to Saddam Hussein before he made his infamous "Mission Accomplished" speech in 2003. Saddam, it seemed, was just a scapegoat for his failure to uphold his promise of capturing bin Laden. True justice wasn't served until eight years later. Bin Laden was killed during a Navy Seal operation in May 2011, and every soul in America listened raptly to Obama's speech on the death of the Godfather of Terror and then celebrated wildly on the street. But every man and woman in CIA and FBI knows that the war against terror will not cease until America addresses the anger lurking within the Arabian Peninsular. A important legacy of this event is that we can never underestimate religion's capability for violence. A seemingly warm and welcoming religion, however noble it is, can always be distorted and twisted to accommodate any individual's personal agenda.